Lee Nelson is stand-up comic Simon Brodkin's Bermondsey-based, 'down wid da hood' alter-ego. 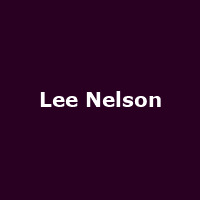 In 2009, his debut TV series "Lee Nelson's Well Good Show" appeared on BBC3. For 2014/15, he opted for being 'Suited and Booted' rather than tracksuited for his tour and was a 'Serious Joker' for 2017.